Most presentations and papers are protected with the general EU KLEMS password (please note the difference with the user-specific log-in information for the Preliminary database). In principle these documents are only available for EU KLEMS participants. Please contact Gerard Ypma if you want to obtain a password. 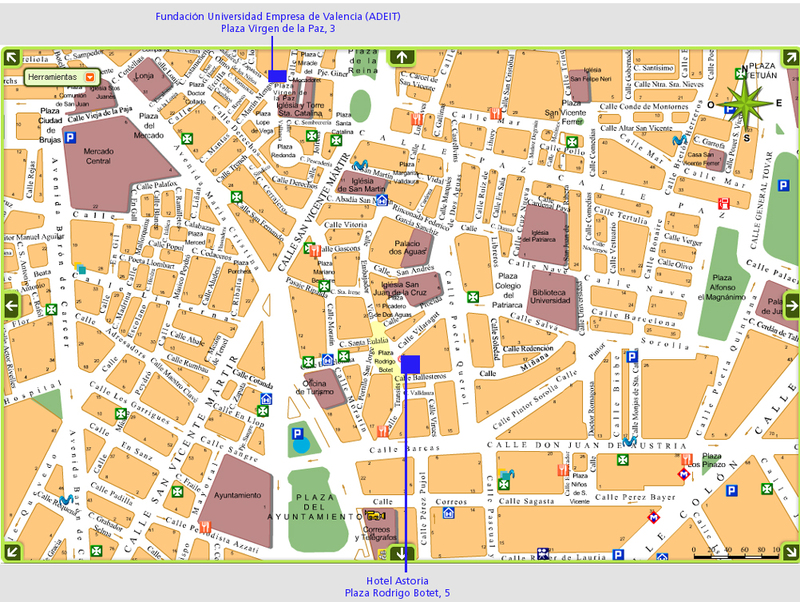 Plaza Rodrigo Botet, 5 - 46002 Valencia. 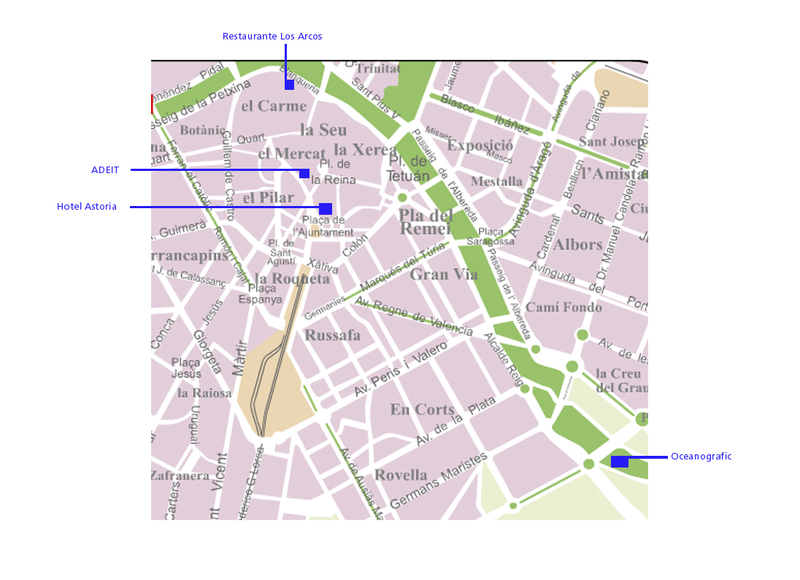 21:00 Welcome "tapas" dinner at "Los Arcos" restaurant in the historical centre of Valencia (see map, click on the map to enlarge). Guided tour from Hotel Astoria to Adeit leaves at 9.10 from the lobby of the hotel. 18.00: Visit to "La Albufera", a fresh water lake (the main part of a natural park) - 25 km away from downtown Valencia. for the organization of this conference and their financial support.